In a society where fears of terrorism are often racially and religiously-charged, there comes a point at which people must rethink their prejudices. Such is the message of “A Most Wanted Man,” a film set in a post-September 11th era when governments are on the lookout for terrorists. A darkening title card sets the tone for the film, by detailing the German government’s failure to detect Mohammad Atta, one of the masterminds of the 9/11 attacks. Some time later, Issa Karpov (Grigoriy Dobrygin) — a man sought after by counterterrorism officials — mysteriously appears in Hamburg. 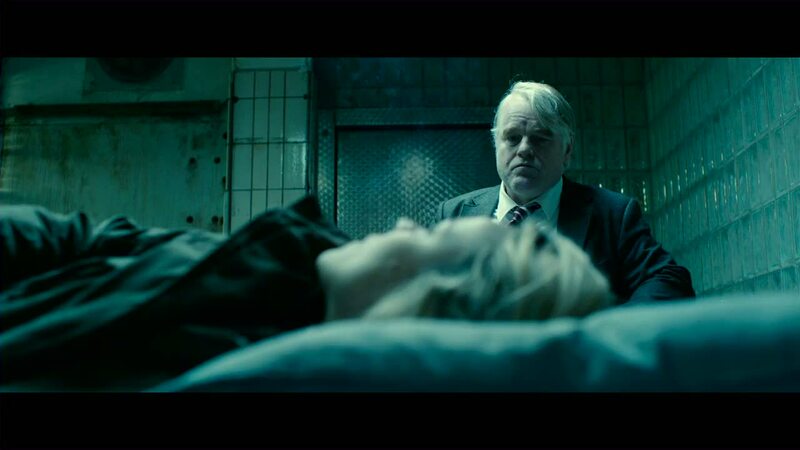 Karpov, a suspected Chechen terrorist, is the initial subject of investigation by Günther Bachmann (Philip Seymour Hoffman), a troubled and brilliant spy. Karpov is aided by asylum lawyer Annabel Richter (Rachel McAdams), who tries to help him get his deceased father’s inheritance and seek asylum in the country. Bachmann uses Richter and a conflicted banker (Willem Dafoe) to convince Karpov to donate his inheritance to prominent Muslim leader Abdullah (Homayoun Ershadi), who is suspected of aiding overseas terrorist organizations. “A Most Wanted Man” is the third feature film from director Anton Corbijn, whose languid pacing reflects his previous work directing music videos for Nirvana and Depeche Mode. While there is no doubt that Corbijn does an amazing job building suspense — befitting an adaptation of a John le Carré novel (“Tinker Tailor Soldier Spy”) — the film punctuates fleeting moments of action with long stretches of waiting, leaving audience members hoping for something a little more exciting and looking frequently at their watches. And for a plodding suspense movie, the ending proved somewhat underwhelming. As with “Tinker Tailor Soldier Spy,” here the audience is being asked to follow a complicated plotline. And while the lack of subtitles in the small parts where a foreign language is spoken gives off a mysterious feel, it does cause viewers to question whether key plot points have been missed. Despite his film’s stylistics flaws, Corbijn is bailed out by his stellar cast. Robin Wright, playing a CIA agent, reprises her aloof portrayal of Claire Underwood perfectly. Her role, though relatively small, provides much of the tension in the film. Hoffman, reliving a bad experience he had with the U.S. government, spends a good chunk of the film deciding whether or not to collaborate with Wright. “A Most Wanted Man” marks the late Hoffman’s final lead performance, and much like Heath Ledger’s in “The Dark Knight,” it is one of his best. As a chain-smoking, scotch-drinking and lonesome spy, Hoffman has seemingly lost all emotions for the people he puts at risk. His lack of emotion allows him to thrive under stress. Given the Academy of Motion Picture Arts and Sciences’s well-known fetish for posthumous awards, there is little doubt this role will earn him an Oscar nod. Cinephiles must now cope with the loss of an amazing actor from “Boogie Nights,” “Capote” and “The Master.” And while his final performance sustains the film, audience members might still consider chugging a five-hour energy drink beforehand. Despite Hoffman, this spy film, with its subtle tenor and lethargic plot, proves to be something of a torturous experience itself.